Automate the customer journey, accelerate marketing success and real-time customer engagement. Change the way you do marketing with our customer data platform. Collect data from any source you want and CM Data will orchestrate it into unified customer profiles. Target specific segments and automate every campaign so your brand is there on the moments that count for your customer. Marketing is changing. Customers are expecting relevant and personal messages. As a marketer you can only do this by really getting to know your customers. But how do you do that when the customer information is scattered over multiple data sources? With CM Data you can connect multiple data sources to one unified customer profile. You will have real time insights into your customers data and behavior. Everything happens fast and everyone is on mobile. With CM Data you will see activities of your customers happen on the spot! All events of customers are stored and can be used to analyze, segment and trigger campaigns. Don't wait, and connect with your customer in real time. See who your customers are with the easy dashboard and build up segments that match your brand. Communication is relevant when it is personalized, contextual and interactive. Build segments that reflect a specific customer group and send them information that they care about. 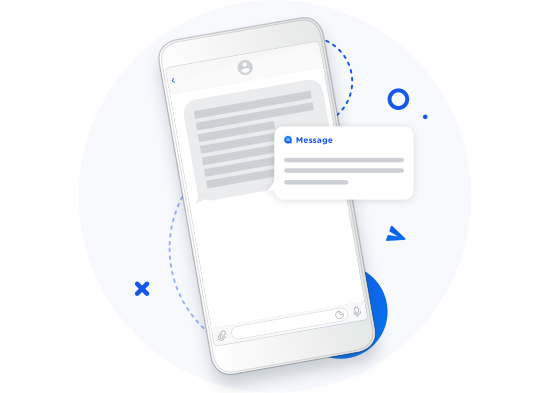 Use the query builder target with a laser-like precision, and leverage the CM.com communication tools to deliver the message on the most relevant channel. Coordinate all marketing channels on one platform. Think of E-mail, social media, chat apps, SMS and Voice campaigns. Create the perfect flow for every target group. Every customer experience will be personal and relevant. See your conversions grow with our simple and smart solution. Integrate the data sources you want to CM Data. With our simple API you don't have to limit yourself. Target specific audiences with the right message. Make segments of your customer database and specify on profile features, customer behavior and events. Analyze your data with our easy dashboard. Get all the insights you want in one clear screen.